Adverts "There's a great deal to celebrate - Jubilee Pl. 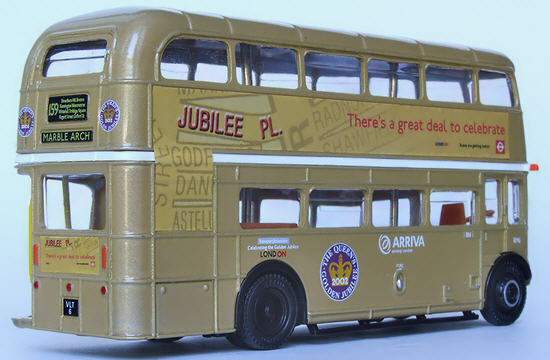 - London Buses are getting better" side and rear adverts. Notes Part of Gift Set 99925 with models 10131GS and 28803GS produced for and only available from London's Transport Museum. 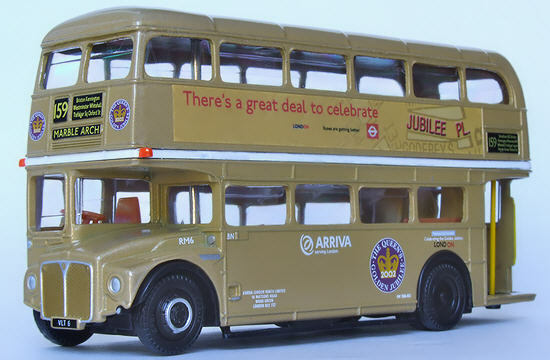 Model has purple 'The Queens Golden Jubilee 2002' logos on front, rear and sides. Issued April 2003 Release Part of Code 2 Gift Set 99925GS.